*It's the 13th hilarious book in Jeff Kinney's bestselling Diary of a Wimpy Kid series! ***Don't miss the brand new Wimpy Kid story, Diary of an Awesome Friendly Kid, available to pre-order now! 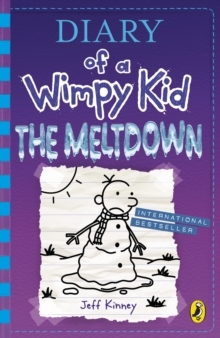 **'Kinney is right up there with J K Rowling as one of the bestselling children's authors on the planet' - IndependentWhen snow shuts down Greg Heffley's middle school, his neighbourhood transforms into a wintry battlefield. Rival groups fight over territory, build massive snow forts, and stage epic snowball fights. And in the crosshairs are Greg and his trusty best friend, Rowley Jefferson.